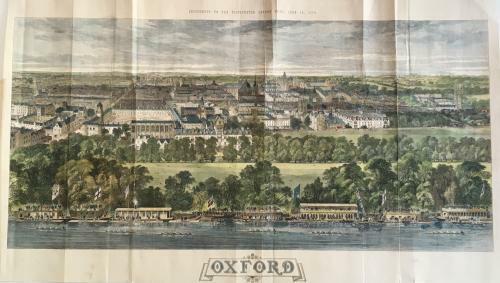 A magnificent large woodblock view of Oxford, with views of the city and boating. Rare. In good antiquarian condition. The paper is backed with minor age toning and a repaired tear - would frame very well.